Prescription pain medication is no small matter. 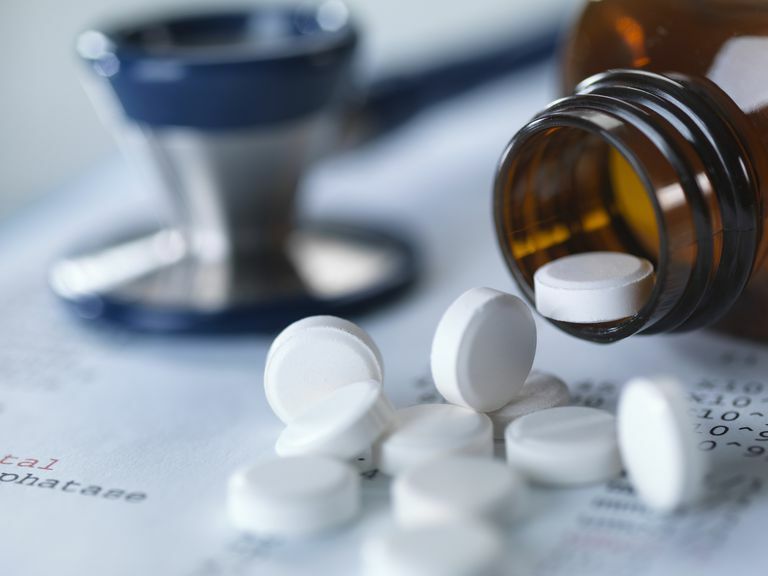 For controlled substances such as opioids, there is an ever-present threat of addiction and abuse, even for patients who have no history of drug abuse or prior usage. With these recent findings and the recent crackdown by the DEA on these controlled substances, research has indicated that teens, in particular, is at threat for opioid addiction and prescription medication abuse. With 1 in 5 teens being prescribed opioid painkillers in 2010, that means a large percentage of the adolescent population is being exposed to potentially addictive substances at an early age. Even drug-clean teens who are reportedly disapproving of drug use, including marijuana, prescriptions from doctors for opioids such as Percocet or Vicodin can be dangerous for multiple reasons. A study conducted by the National Institute on Drug Abuse (NIDA) in early 2016 concluded that teens who received an opioid prescription by the 12th grade were 33 percent more likely to misuse opioid medications between the ages of 19-23. In addition, the most at risk population of teens were the ones who had no previous exposure to illicit drugs of any kind. Findings suggest that the initial pain-relieving experience that teens feel entices them to continue to rely on these controlled substances in the future, which prevents these teens from ever weaning themselves off of these medications. A recent study by NIDA shows that people can become addicted to drugs such as Oxycodone in a week, or even as little as three uses—imagine being prescribed a week supply or just seven tablets of this opioid, the patient may already have developed an addictive behavior and dependence on this drug in that short time. This cycle forms a reliance on the drug, and this reliance can continue into early, mid, and late adulthood. The threat of exposure at an early age is not just the concern of abuse or misuse, but the danger of treating chronic pain patients who learn to rely on prescription painkillers for pain relief rather than alternative holistic interventions. Another associated threat with this dependence is the inherent tolerance that patients can build up over years and years of use, causing some patients to have prescriptions that are doubled or tripled the morphine dosage as when they were first prescribed as teens. In addition, opioid exposure in teens can function as a “gateway drug” for those with some prior drug experience, granting them their first exposure to addictive substances like opioids. Many studies have shown that prescription painkillers can be a gateway drug to substances as extreme as heroin. With the popularity of abusing pain medication amongst teens today, any exposure to controlled addictive substances like opioids can result in opportunities for abuse and enjoyment of the drug, leading to future recreational uses. What makes this age group so high risk for addiction and abuse of opioid medications? Primarily, it is this age group's lack of life experience and ill-preparedness for the en-heightened feelings of euphoria associated with the drugs. Even for the innocent teen who is prescribed these medications by a physician, many are unprepared for the strength of pain relief and overall good feeling the drug provides. Another psychological factor that plays a role in patterns of addiction is the fact that a trusted medical professional has prescribed the drug for them, and the sense of security they feel with having a doctor technically “condone” the usage of these drugs puts many adolescents at ease. These feelings play an even larger role in teens who have anti-drug attitudes than teens with prior drug experience, and studies show that teens who have a more nonchalant attitude towards the effects of drugs and have experienced the effects of drugs to some minor degree were better at finishing their prescription and being done with the drug than teens who are unprepared mentally and physically for the effects of the drugs. In biological terms, the brain of adolescents is still developing, and exposure to opioids during this stage of development can affect brain growth. Research conducted at the University of California, San Diego indicates that during adolescent years between 12-19, the brain is more susceptible to habit forming behaviors, such as addiction. Furthermore, substances such as marijuana, alcohol, and opioids affect the brain physiologically by changing the brain's volume and quality of white matter, thus limiting the brain's neuro-conductivity potential. This can affect activities such as learning, thought processing, and memory, but also result in poorer decision-making skills which lead to risk-taking behaviors—these risky behaviors can manifest into anything from continued opioid use to trying other addictive substances and drugs. Prescription pain medication is no small matter. Any patient or age group is at risk for addiction and abuse when they begin taking opioids, however, there is an increased threat to the impressionable adolescent age group, regardless of their attitude or beliefs on drug use. It is important that doctors and other health professionals are careful and sure that when they prescribe teens controlled substances like opioid painkillers, they explain all the risks and consequences associated with the treatment of both the patient and the patient's parents. Carlisle Maxwell J. The Pain Reliever and Heroin Epidemic in the United States: Shifting Winds in the Perfect Storm. J Addict Dis. 2015;34(2-3):127-40. Mccabe SE, West BT, Boyd CJ. Leftover prescription opioids and nonmedical use among high school seniors: a multi-cohort national study. J Adolesc Health. 2013;52(4):480-5. Sheridan DC, Laurie A, Hendrickson RG, Fu R, Kea B, Horowitz BZ. Association of Overall Opioid Prescriptions on Adolescent Opioid Abuse. J Emerg Med. 2016. What's the Difference Between Addiction, Physical Dependence, and Tolerance? What Is Opioid Use Disorder in the New DSM-5?